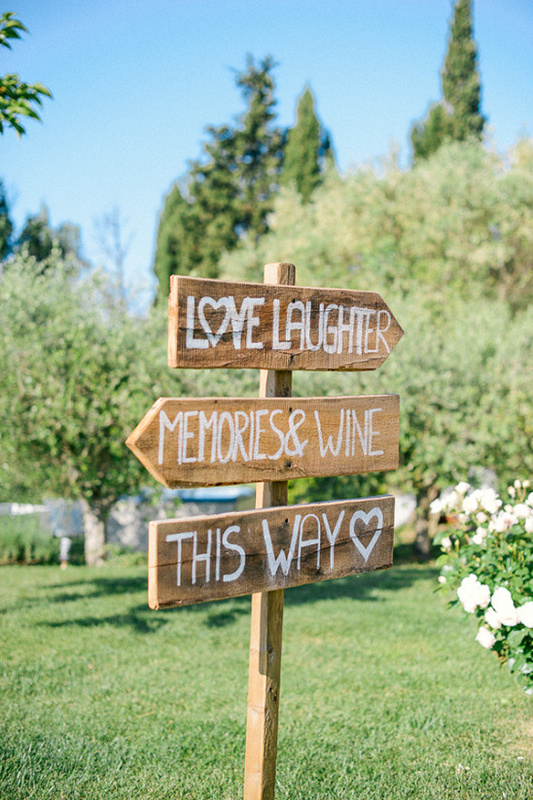 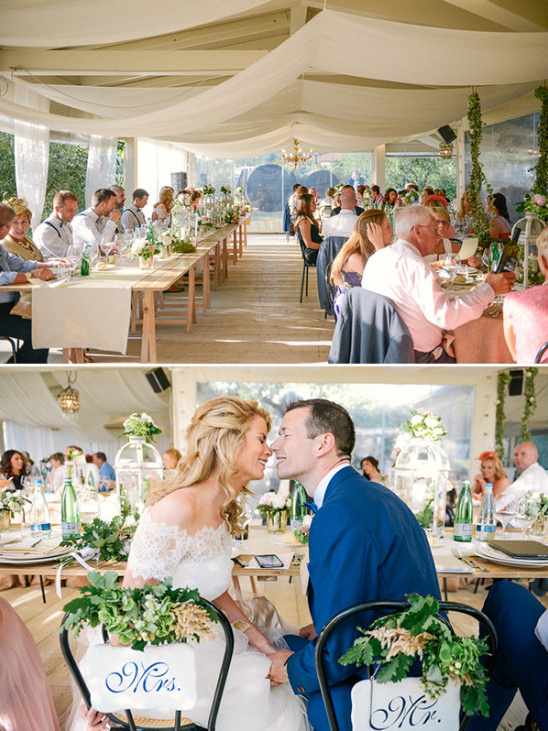 La bella vita is a phrase we feel best sums up Miriam + Pauls beautiful countryside wedding in Umbria, Italy. 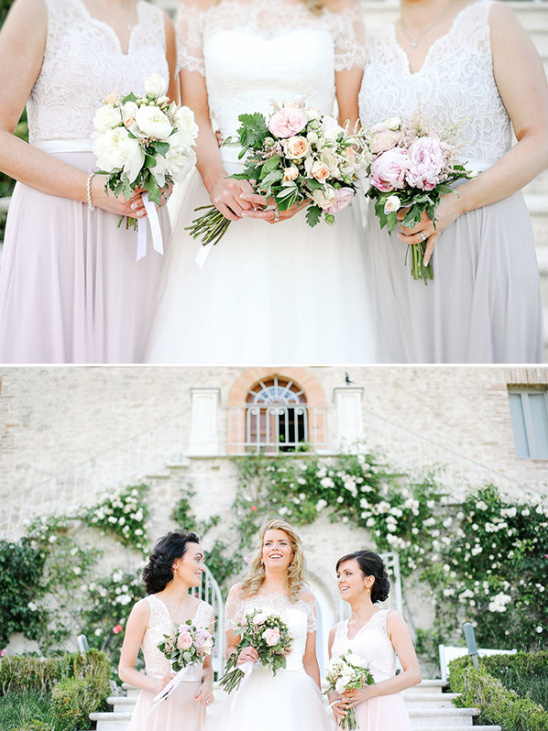 The incredible Castello di Montignano hosted their wedding weekend and made the perfect backdrop for their rustic, country chic decor with soft pastel colors styled by the talented ladies at Chic Weddings in Italy. 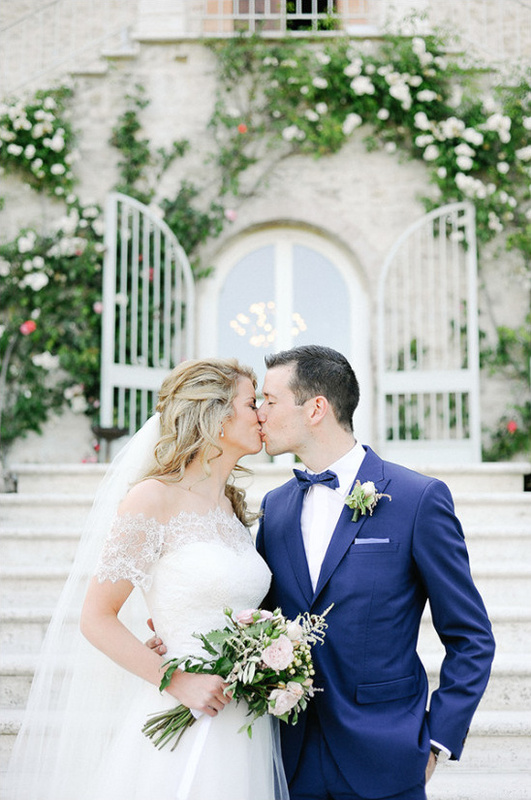 Truly stunning from beginning to end, you won't want to miss a single moment beautifully captured by L&V Photography, so be sure to check out the full gallery here for even more Italian wedding ideas. 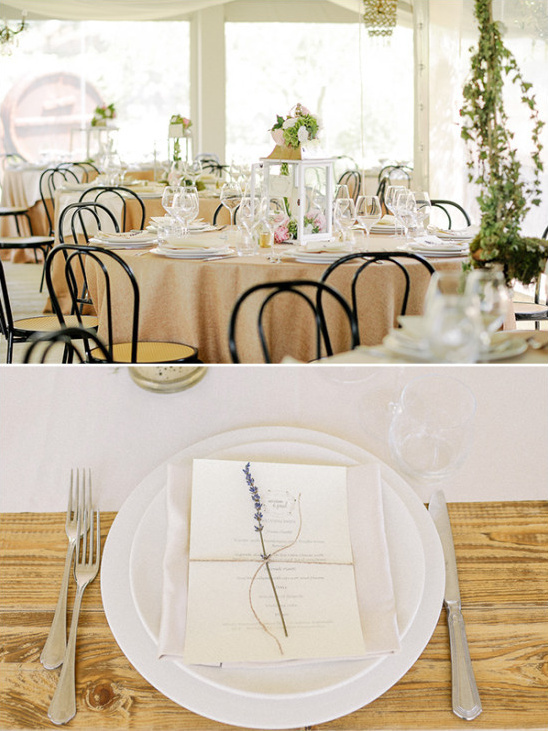 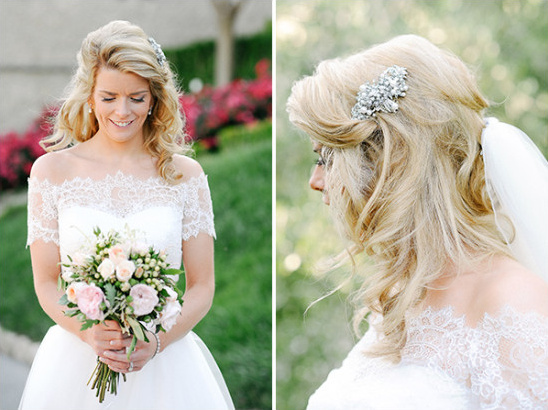 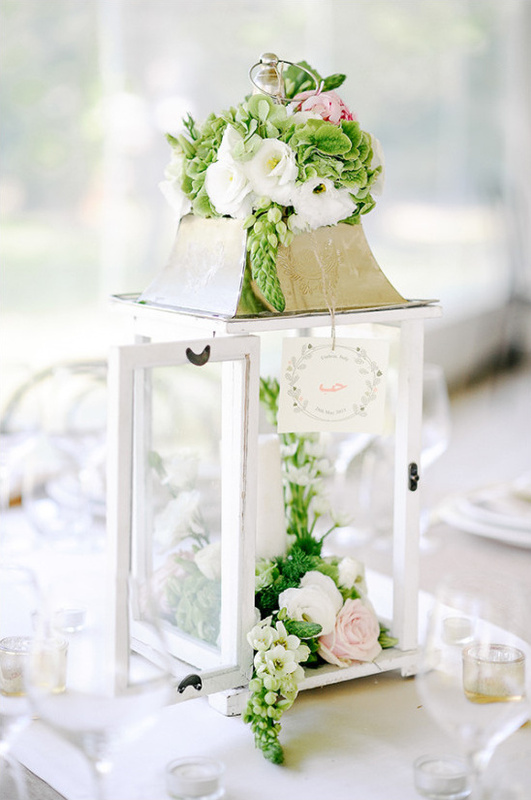 From L&V Photography: For their wedding, Miriam and Paul created a perfect country chic atmosphere. 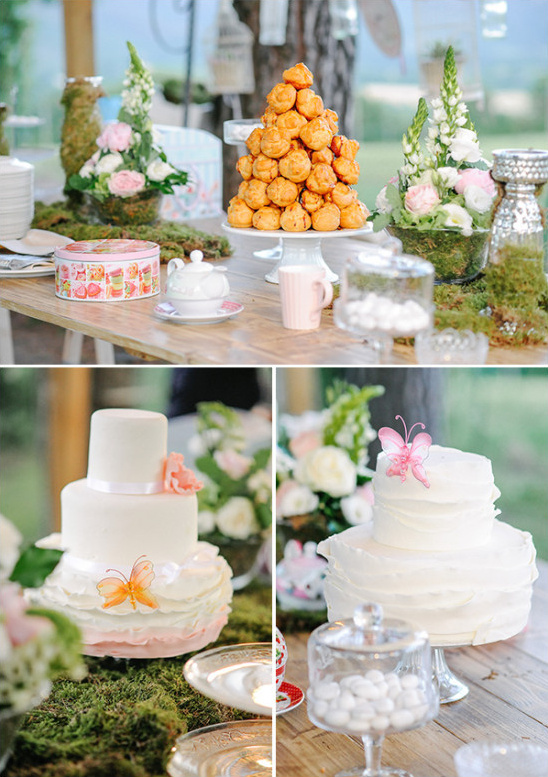 Seasonal flowers in the tones of pink, blush + olive, coordinated bridesmaid dresses in soft muted colors, a lovely sweets table with small cakes and pastries, and table decor inspired by the Italian countryside, with lavender flowers, lanterns and wooden tables. 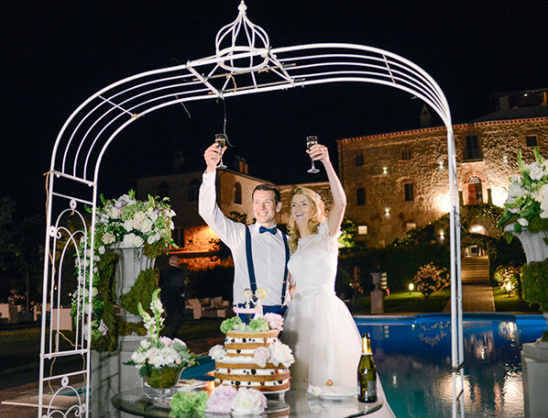 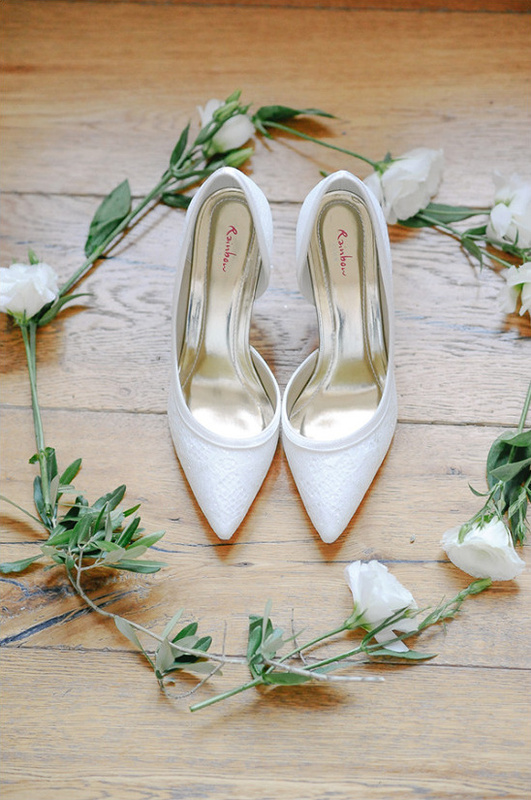 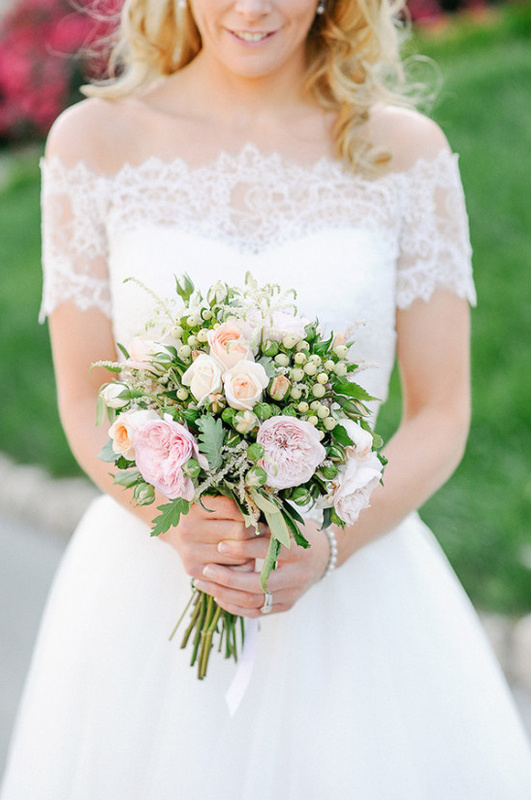 From the bride: We wanted to get married in Italy to have a different wedding from that of a typical Irish wedding with just close family and friends with lovely weather. 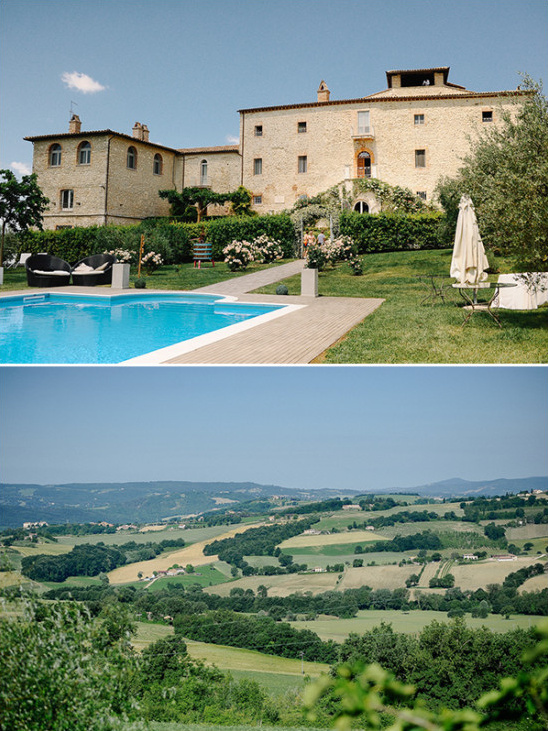 We chose Castello di Montignano specifically because of its rustic setting in the countryside. 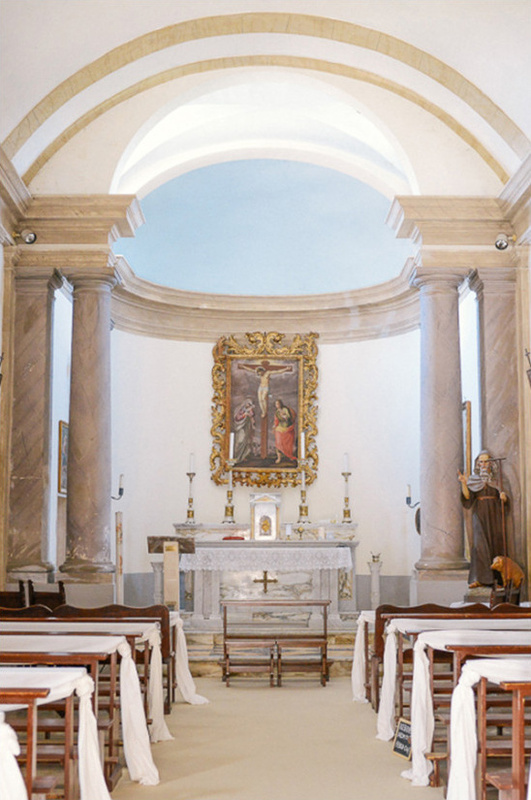 Also we loved the church on site. 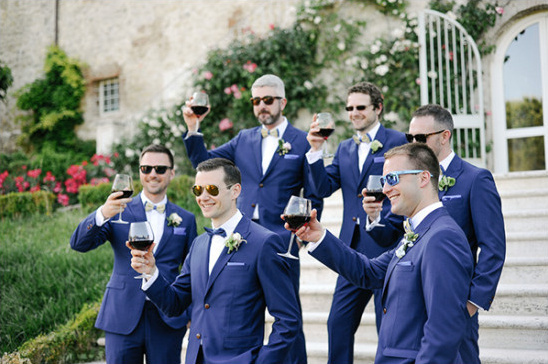 I don't know if this is the same for other countries but having experience in planning weddings in Ireland (I have been bridesmaid 5 times :) ) I was surprised how everything in Italy seemed to cost extra. 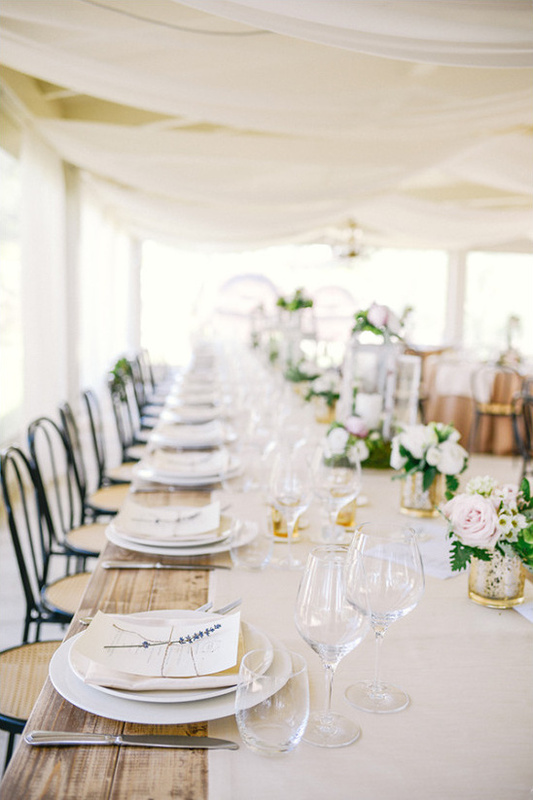 One small example, we wanted a different color table cloth and we were charged extra per person, not per table cloth, hair and makeup is also very expensive in Italy in general!!! 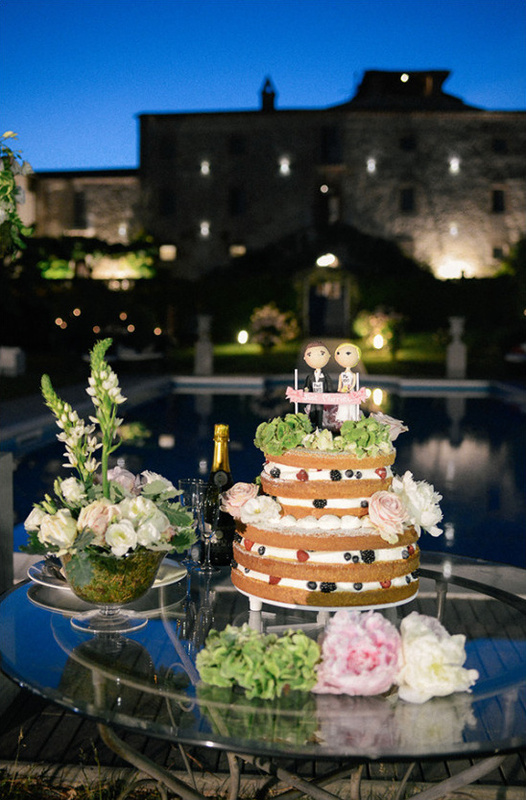 So be mindful of that if you're getting married in Italy.